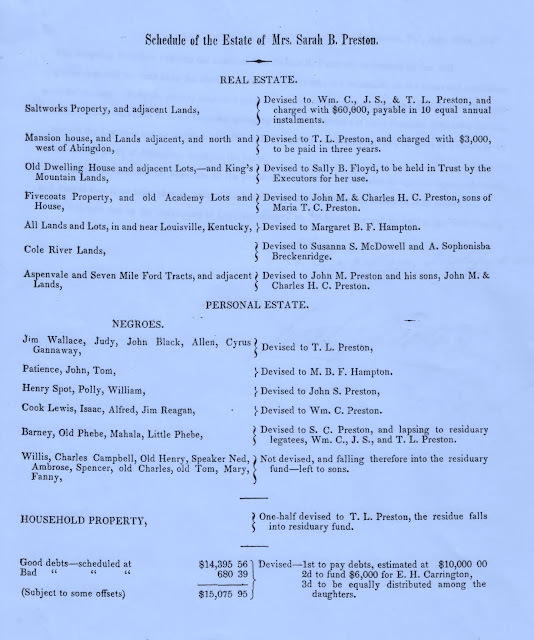 Schedule of the Estate of Sarah Buchanan Campbell Preston. Abingdon, Virginia, August 28, 1847, page 1. I had a copy of this in my files and do not know its exact publication details. Probably printed in Abingdon, Virginia, on or around the date listed. Willis, Charles Campbell, Old Henry, Speaker Ned, Ambrose, Spencer, old Charles, old Tom, Mary, Fanny." 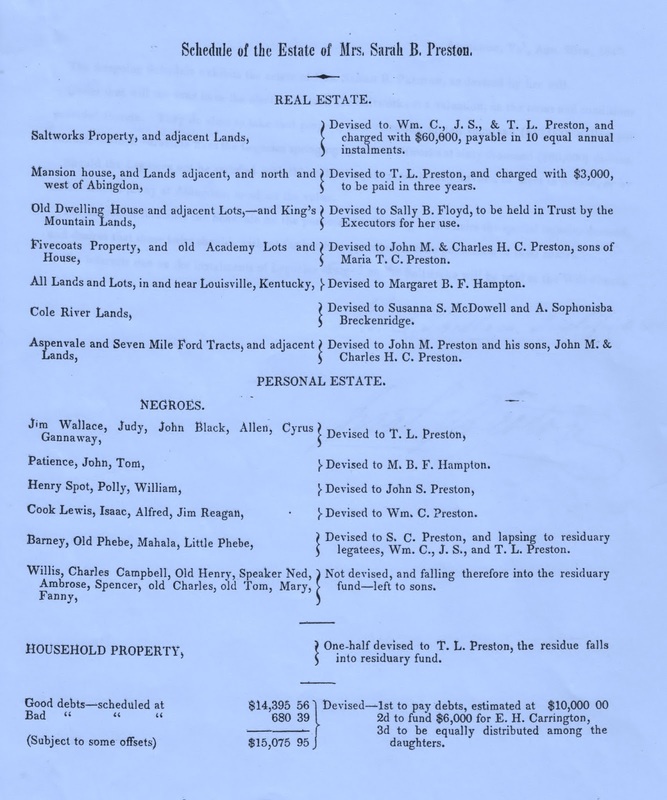 Schedule of the Estate of Sarah Buchanan Campbell Preston. Abingdon, Virginia, August 28, 1847, page 2.